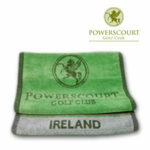 Powerscourt Golf Club has a Golf Shop located in the main lobby and open to members and visitors. 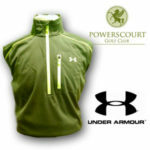 The shop stocks a wide range of clothing for Men & Women, including polo shirts, jumpers, half zip tops, jackets and rainwear from all the major golf brands, as well as footwear from Underarmour, FootJoy, Adidas and Sketchers. 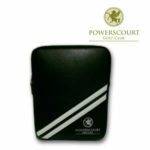 All of the usual golfing requirements from soft drinks & confectionery, to hats, umbrellas and course guides can all be purchased before playing.